When it comes to Chinese, many, many language learners find listening to be their greatest challenge. There are so many intonations, similar-sounding words, and dialects that you may wonder how Chinese children ever manage. They do manage just fine. The main difference between you and the typical Chinese kid is that they have a lifetime of learning to sort things out. There is natural progression built into the material they encounter and over the years they build up the competence of an adult native speaker. This explains why approaching native listening material can be scary for second language learners. It can be very different from what we are used to from classrooms and textbooks. There is a definite gap between classroom learning and the real world. In a formal learning situation, the teachers and textbook authors do their best to use language you have encountered before and then adding something new. This is great, but it also leads to a sheltered environment which is very different from the outside world. Random Chinese-speakers in the street do not know which words you have studied or not. They are not going to tailor their language to suit your limited knowledge. You have got to get with the program! Chinese can be learned as a second language. 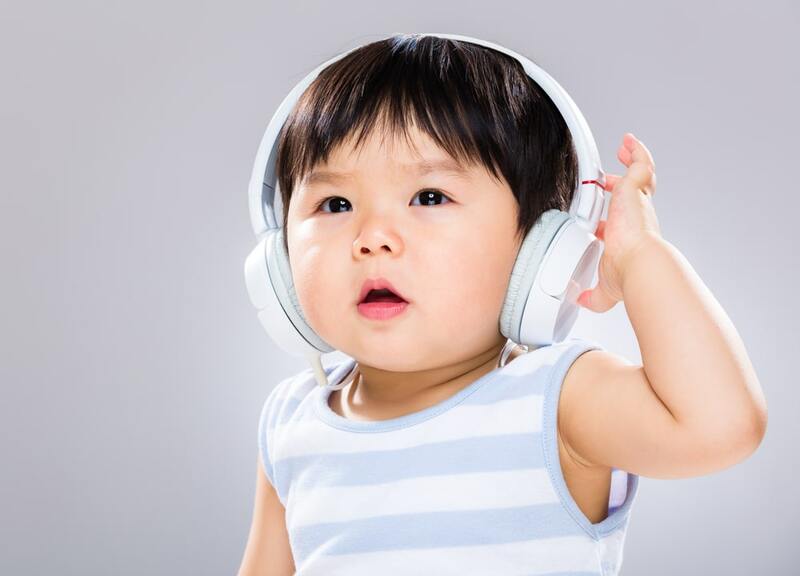 You don’t need to have been studying Chinese since babyhood to get yourself in the loop. There are plenty of learning materials and resources out there for eager language learners like yourself. One helpful tool is audio produced for native speakers. As a beginner or lower-intermediate learner, you will have to carefully weigh your options and find audio that is interesting, challenging, but reasonably at your level. 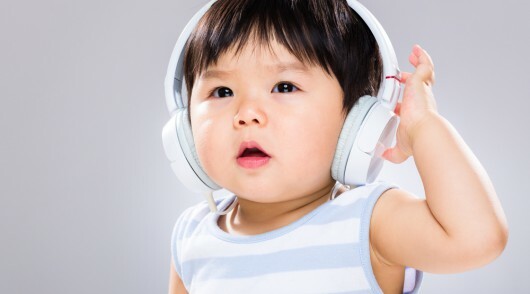 Tapping into Chinese audio is truly a rite of passage for the beginning Chinese student. It will be hard at first. I will not sugarcoat things for you. However, once you get used to it a whole new world will open up to you. No longer will you be limited by material produced for Chinese language learners! Those language learning recordings tend to target everyone at once and thus be very dull. I mean, how many times to you want to listen to people ordering food and shopping for useless junk at the mall? Sure, it is comforting to understand everything and to have a textbook guide you through, word by word. That time of your Chinese language learning is over. You have just graduated. Toss the scripted conversations aside – they’re just distracting you from the fact that there is a whole rich, engaging world of fascinating topics out there! Politics, art, science, literature, culture – you name it, people are listening to it. It is finally time for you to join the real world! Get the gist, ignore the details – This is by far the most important advice I have to offer. You have to let go of the desire to understand everything. If you understand nothing at all after listening a few times, you are probably not ready for that material. Recognize your limitations. If you feel that you understand roughly what they are talking about, you should be okay. It is okay to focus on details if you want to, but you should not feel that something is too hard because you do not understand everything. Use supporting media – Sometimes there are subtitles, transcripts or translated versions of what you’re listening to. Use them. If you are listening to international news, the same events have likely been covered in your own language and that can help you with some background information. If your reading is stronger than your listening, skimming a written summary and the headline can also help a lot. Choose the topic wisely – If you have just decided to try native Chinese audio as learning material, stick to topics you are both interested in and know well. If you would find the content challenging in your native language, it will of course be much harder in Chinese. For instance, I have listened a lot to a lecture series about science fiction, a topic I am very familiar with. That meant that I mostly knew what the lecturer was talking about even if I didn’t understand everything he said. I already had the framework ready. If you want something more challenging, try learning new subjects in Chinese. Listening to native audio in Chinese is hard and it requires a lot of patience before you can do it comfortably. Therefore, it is of utmost importance that you choose audio material that is actually interesting to you. This is much more important than the actual level of the language used, because if you are motivated enough, you will have the patience to listen several times even though you do not understand much at first. If you are not interested, you are more likely to give up. I can’t know what you find interesting, but it is very unlikely that the internet has nothing in Chinese that will interest you. Below, I will share some audio sources that I have enjoyed throughout the years, along with ideas about how to approach them and how to find similar sources. The general advice for finding something online is to ask native speakers directly. You probably have some friends or language exchange partners. Ask them to search with you. They can probably find lots of material without too much effort. You can also try asking on Reddit or Chinese Forums. There are several podcasts that provide advanced listening material. This is typically produced for foreigners like us, so you might wonder why I would recommend it in this article about native Chinese audio. The answer is that you shouldn’t focus on the actual dialogues or texts, you should focus on the conversation in the studio between the hosts. If it’s an advanced podcast, it should be entirely in Chinese. Their language, although slightly slowed down and a bit simpler than real native material, is still quite natural. They might spend a lot of time tailoring the dialogue or text to meet your needs, but the language they use between themselves when discussing the content is more natural. This was one of my most important springboards to real native audio! Want to practice your listening? Immersing yourself in popular Chinese TV shows with FluentU! One of the best ways to learn colloquial Chinese without living in China is to listen to as much radio as possible or watch as many talk shows as you can (if you don’t want the video, it is fairly easy to just extract the audio). These are real people talking about real things and even though they might speak quickly, it is not very advanced when it comes to vocabulary and grammar. Again, motivation is king, you need to find topics that interest you. For instance, I personally can’t stand most talk shows on TV and never watch them, but I find interviews on some radio stations to be quite interesting. Interviews are usually less chaotic, contain more interesting things and are presented with the goal of making you understand rather than just entertaining you. I get most my listening material in this category from Radio Taiwan International, but there are many other sources if you’re not particularly interested in Taiwan. Depending on what channel you are using, news can either be hard or very hard. The hardest news broadcasts are those that consist of written news reports read aloud at a rapid pace. This is very, very hard if your Chinese listening ability is not already fairly good. TV news broadcasts are a bit easier, partly because there is visual support and partly because news anchors are speaking directly to you rather than just reading something aloud into a microphone. If you are interested in current affairs but don’t feel ready to dive into these kinds of broadcasts, I suggest interviews or talks about current events. As soon as they stop reading things, the language level becomes a lot easier to deal with and the speed comes down a bit, too. I have spent many, many hours watching professional StarCraft 2 matches in Chinese. This is actually more or less the same thing as watching sports broadcasts, meaning that there is a small number of words specific to the game/sport, but after you get past the initial threshold, it is all very normal language. Again, let your interest guide you, if you like basketball, check a few channels covering Chinese or foreign leagues. If you like computer games, do the same for whatever game you fancy. If you just happen like StarCraft 2, you are in luck! I have written a long article about how to use StarCraft 2 to learn Chinese. As promised above, here is a complete lecture series which is in theory all about science fiction. In practice, this covers a wide variety of related topics (let’s just say that this teacher isn’t much for sticking to a boring lesson plan). It is mostly focused on Western science fiction, but the lecturer does a good job of relating things to Chinese society in general and Taiwan in particular. I have listened to the entire series several times and enjoy it quite a lot, but it starts getting really good only after a few lectures. This course was produced by 國立清華大學 and is part of their open course program. The language used is moderately difficult, meaning that it’s spoken Chinese but that some concepts discussed are sometimes fairly complex. Skeptoid is the creation of Brian Dunning and the title “Critical Analysis of Pop Phenomena” says it all. He takes on different myths, legends and stories and (usually) debunks them. It’s a little bit like an audio alternative to Myth Busters. The good news is that there is a Chinese version, meaning that many episodes have been translated into Chinese and recorded in audio. Both the translations and the recordings are of high quality, but rather difficult (since it is written language rather than spoken). Unfortunately, there has been no new episodes since August last year, so if you like the podcast, please support it and send encouraging e-mails to 俐思 and hope she will take up the project again.